Use the All Sermons page to search for previous sermons, going back to 2000. 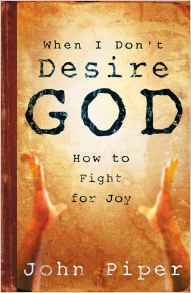 John Piper has a ministry called 'Desiring God' and he has written various books about desiring God that I haven't read. This one caught my eye because it's about when we don't desire God - something that we may find hard to admit and even harder to do something about.